As the topic is complex, and completely outside of my knowledge, the author is able to explain quite well what the problem is with respect to the creation of new forms of pesticides and how this "race to the slaughter" is definitely not very useful in the long run, while also providing useful suggestions to change things and hope for a better future.Per quanto l'argomento sia complesso, e totalmente al di fuori della mia conoscenza, l'autore é riuscito a spiegare piuttosto bene quale sia il problema rispetto alla creazione di sempre nuove forme di pesticidi e di come questa "corsa al massacro" sia decisamente poco utile sulla lunga distanza, fornendo inoltre utili suggerimenti per cambiare le cose e sperare in un futuro migliore.THANKS TO NETGALLEY AND ISLAND PRESS FOR THE PREVIEW! Since the neolithic revolution, humans have, in making plants more attractive to ourselves via more sugar and starch, also give pests more reason to consume them. With each human innovation to keep the food for ourselves, the pests evolve to evade it--new formulation of pesticides, genetic modification of the plants, all of which is expensive (and available to bigger rather than smaller farmers) and short-lasting. 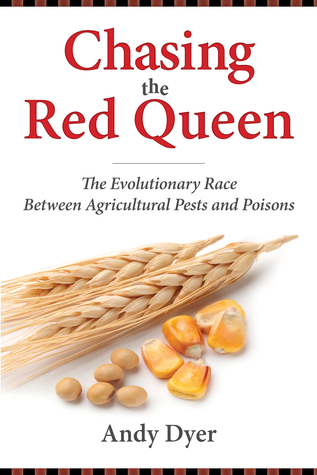 Dyer offers a good introduction to evolution and genetics and their bearing on agricultural food production, and examines the pre-modern methods (avoiding monoculture, crop rotation, using other predators like spiders to control crop-eating bugs) as possibilities. DisclaimerI received this book for free from Netgalley in exchange for an honest review.I think this book examined the problems with mainstream agricultural pesticide problems quite well.